Federal Pacific Electric Stab-Lok panels have long been known to be problematic, and I’ve always called them out as a potential safety hazard. While performing a home inspection, I recommend having these panels evaluated by an electrician and replaced if necessary. Here’s another article on FPE Panels by CodeCheck authors Douglas Hansen & Redwood Kardon, updated 12/22/12 . CSST, which stands for Corrugated Stainless Steel Tubing. 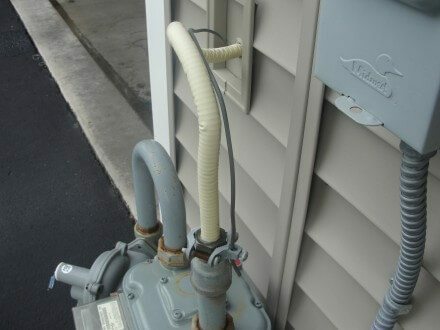 If you own a newer home or you’ve recently had gas lines added to your home, there’s a good possibility that CSST was used. This is a relatively new, flexible material that is approved for the distribution of natural gas inside of homes. CSST needs to be bonded. The most common issue that home inspectors find with CSST is a system that hasn’t been properly bonded. When CSST is installed without being properly bonded to current standards, there is an increased risk for damage to the material from a nearby lightning strike. When CSST is damaged, it can leak gas and cause an explosion and/or a fire. To the best of my knowledge, all manufacturers of CSST began implementing specific bonding requirements around 2006. 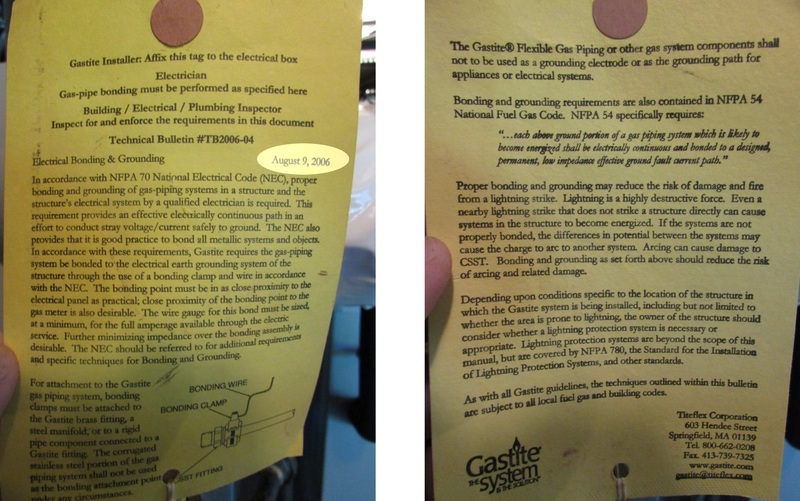 Click the image below to see a large version of the installation tag from Gastite dated August 9, 2006. What about existing installations? Building codes have something called ‘grandfathering’. This means that if something was installed to code, it’s still a code compliant installation today, even if the codes have changed significantly. The good thing about being a home inspector is that I don’t need to get hung up on code requirements. If something is deemed unsafe due to a change in accepted residential construction standards, The Tennessee Standard of Practice allows me to report on it, whether it met code at the time that it was installed or not. If CSST was installed to code in 2005 and the manufacturer didn’t have any special requirements for bonding at the time it was installed, the installation still meets code today. That won’t stop me from recommending this important safety upgrade, however. I’ll still recommend having the system bonded to today’s standards. The manufacturers of CSST have changed their installation requirements because they’ve learned that the old methods weren’t good enough. There is an unacceptable risk of fire from a nearby lightning strike with older systems. Where does CSST need to be bonded, inside or outside of the house? What does proper bonding look like? 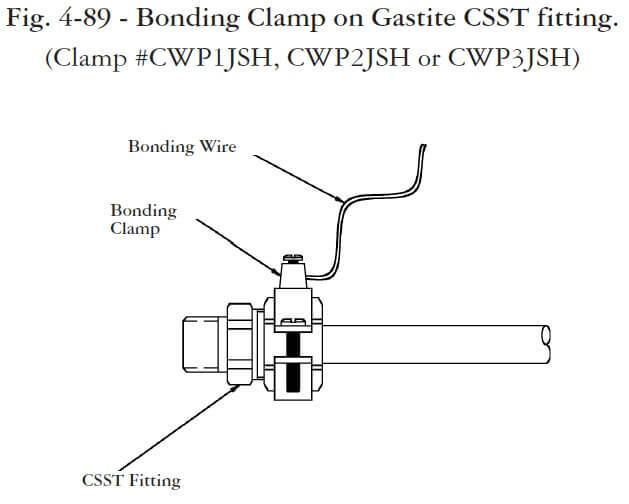 There needs to be a separate bonding wire connected either to the rigid gas piping before the CSST, or directly to one of the CSST nuts. This is needed any time CSST is installed, even if it’s just a small amount. The diagram below shows an example of what this would look like when properly installed to today’s standards.